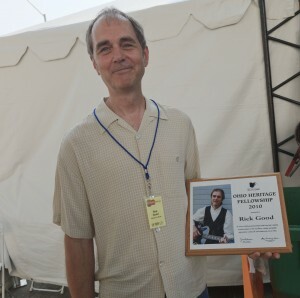 Early in the afternoon of July 4, 2010, at the Cityfolk Festival in Dayton, Ohio, the Ohio Arts Council presented Rick with the 2010, Ohio Heritage Fellowship. In honor of lifelong achievements that have had a lasting positive impact on the excellence, vitality and public appreciation of the folk and traditional arts in Ohio. 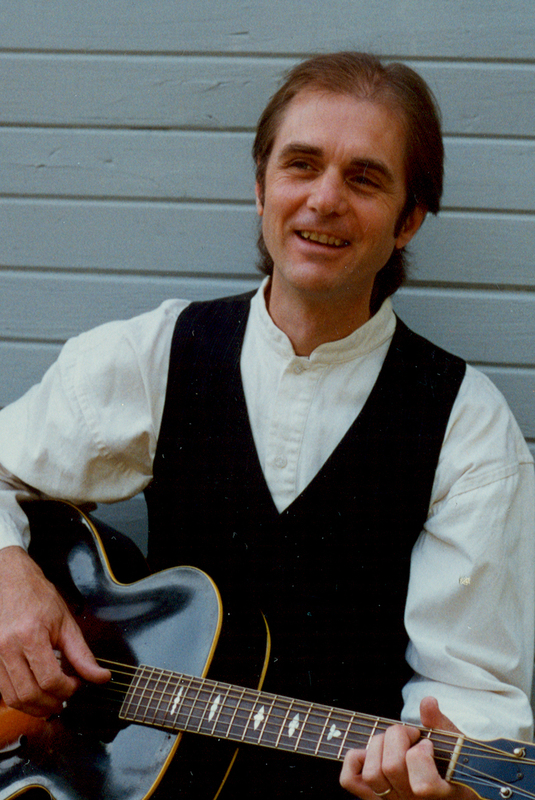 The award recognizes Rick’s 40 year career as a musician, actor, writer, educator and advocate of America’s musical roots, including his work with the Hotmud Family and Rhythm in Shoes. Later that evening, Rhythm in Shoes closed the Festival with the last performance of their twenty-three year run. On Apple Street, between Main and Brown just south of downtown Dayton, Ohio once stood the homes of Leroy Good and Charles Rauch. Roy, as he was known at the NCR factory where he worked as a toolmaker, played songs like “Old Rattler” and “Just Because” on the guitar and mandolin. Charlie Rauch made guitars, mandolins and other stringed instruments in his garage. 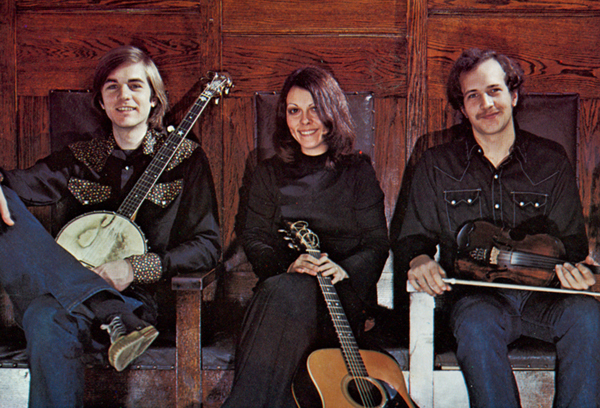 It read “The Dayton”on the peghead of every Rauch creation, including the banjo-mandolin that Roy acquired. 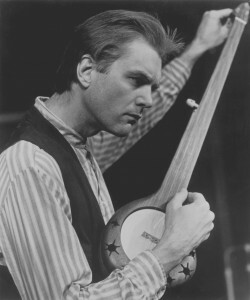 A mandolin neck on a banjo body, this eight-stringed curiosity would be the first instrument I ever played some thirty years later. Leroy Good was my grandfather. I was born in Dayton in 1951, and grew up in the Belmont area. As for music around the house, my father Edwin, also a toolmaker, knew a few chords on the guitar and played songs like “Turkey in the Straw” and “Red River Valley” on the harmonica. My older brothers and sister, Mick, Chuck and Ginny, were avid record buyers with eclectic tastes in music ranging from Count Basie and Broadway Musicals to Buck Owens, the Kingston Trio and Gene Pitney. By the time I was twelve years old, I was picking out simple tunes by ear on my grandpa’s banjo-mandolin and primed for my first real banjo, a Harmony five-string given to me by my brother, Chuck. Within the year, I had worked my way back from Peter, Paul and Mary to Pete Seeger and Woody Guthrie. By the eighth grade, I had acquired a guitar from a cousin, discovered Bob Dylan, written my first song and had a band. 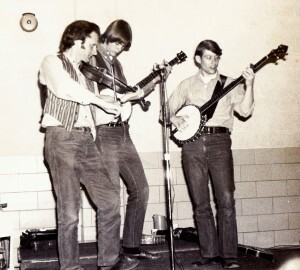 Known successively as The Lonesome Travelers, The Freewheelers and Water Weed, the trio made its first money (twelve dollars split three ways) on December 4,1964, at a Wright State University hootenanny. For the next five years we played at parties, county fairs, coffeehouses and pizza parlors throughout southwestern Ohio. During that time, I discovered WPFB radio, broadcasting from Middletown. Though the signal was weak, the music I heard was a revelation. 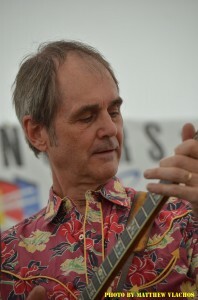 Disc jockey, Paul “Moon” Mullins proclaimed unabashedly that WPFB meant “We Play For Briars”and he proved it daily by playing the best bands in Bluegrass: Bill Monroe, Flatt and Scruggs, The Stanley Brothers and, even more significantly for me, local artists like Red Allen and The Osborne Brothers, as well as Moon’s own bands. He was a fine fiddler in his own right with, as I would later discover, one of the loosest bowing arms I’ve ever seen. He often played with Noah Crase on banjo, a very solid picker whose straight ahead style still represents my favorite kind of bluegrass picking. After graduating from high school in 1969, it was another radio station that took me further along my musical path. From Antioch College in Yellow Springs, WYSO-FM was filling the airwaves with alternative music. Every Saturday night the Duffee Brothers played recordings of old time music from the 1920s and 30s—Uncle Dave Macon, Jimmie Rodgers and the Carter Family—along with a seemingly bottomless well of traditional stringband music played by artists long dead, as well as some still alive and picking. 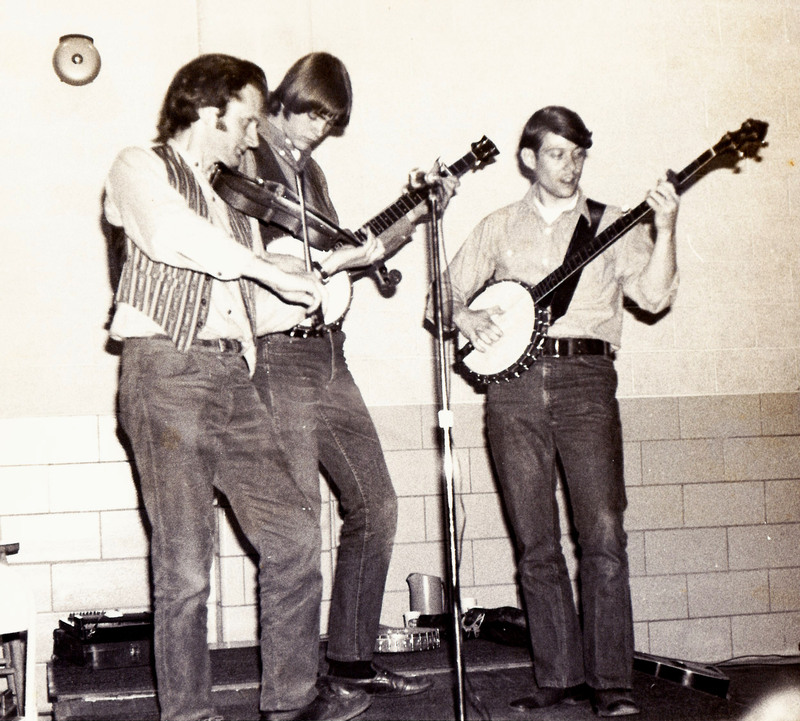 At this same time I was doing my alternative service at a Catholic Youth House outside of Dayton and had the opportunity to produce a weekend “folk music retreat”featuring the renowned musician and folklorist, Mike Seeger, of the New Lost City Ramblers. 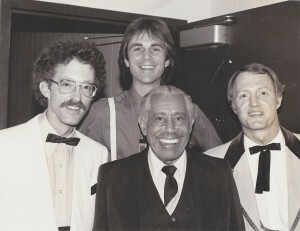 That band, and Mike in particular, was a huge influence on me and everybody else with a love for traditional American music. 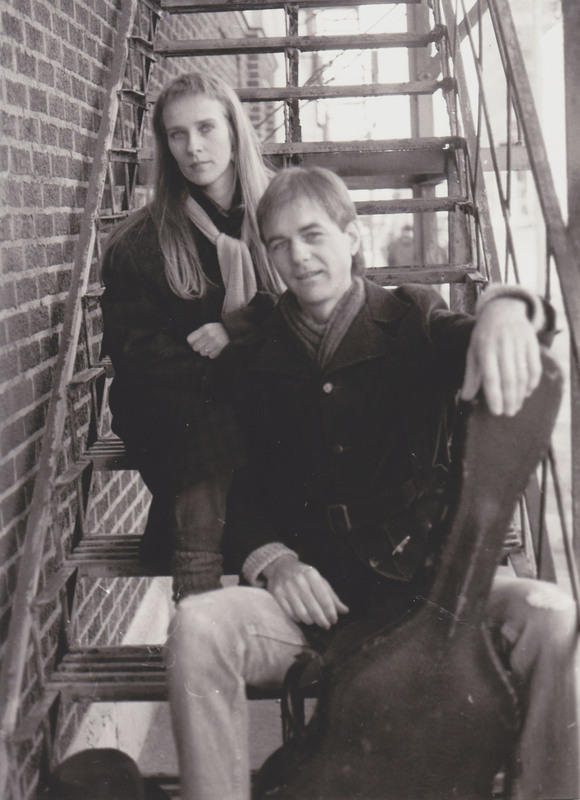 It wasn’t long after that I met Dave Edmundson and Suzanne Thomas, the two people with whom I would spend the next thirteen years, traveling around the country and parts of Europe playing music as the Hotmud Family. We were united by a common love of traditional music and a sweet vocal blend. Regular weekend gigs at Sam’s Bar & Grill earned us a strong, local following. Those were the days when a band played four sets a night and, by the time the bar closed, a good sixty songs had been sung. If playing with the Hotmud Family was my college education, Van Buren Kidwell was the professor. Van was a retired farmer from Richland, Kentucky who lived in Miamisburg. He was an old time fiddler with a strong repertoire of hard driving Kentucky tunes and he took no prisoners. He often traveled with the Hotmud Family and I was his banjo player. 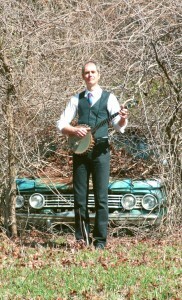 The way I play the banjo is because of the way Van fiddled. Beginning in 1974, we started making records for the Vetco label out of Cincinnati. 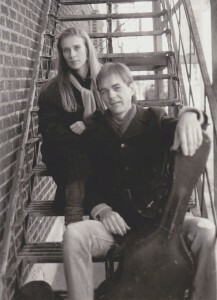 We recorded six albums, including two with Van Kidwell. Van’s records are now available on CD from the Field Recorders’ Collective and the Hotmud Family’s four albums are available on a two CD set, The Complete Vetco Years. 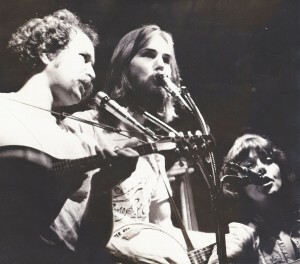 Around that same time, the band was hired to be on staff at the Living Arts Center. This truly revolutionary and all too short-lived institution was on Linden Avenue, in the largely Appalachian eastside of the city. For two years, every Tuesday night, we held a workshop/jam session, which attracted traditional music lovers and players from all over the Miami Valley. 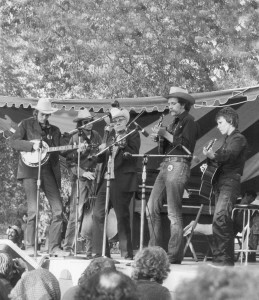 Transplanted hillbillies played songs with local hippies and youthful beginners learned from aged veterans. On Wednesday nights, we hosted the WYSO Country Music Jamboree, a live radio show, free and open to the public, featuring the Hotmud Family and whatever local or touring talent we could corral. Dozens of fine musicians from our own area, including Red Allen, graced the Living Arts Center stage, and hundreds of happy fans filled the bleachers every week. 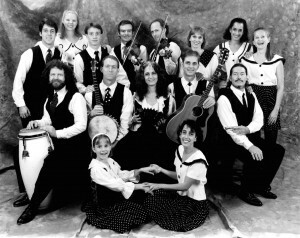 On the road, from New Jersey to North Carolina, the Hotmud Family played on countless stages, many of them rocking hard under the thundering feet of a Southern Mountain style clog team. I understood quickly how dance and music fuel each other and how certain tunes inspire better dancing. Thanks to Fiddlin’ Van, I could fire up a clogger and we could show the folks what it was all about. After playing most of the major Bluegrass and folk music festivals in the country, as well as just about every club east of the Rockies, the Hotmud Family disbanded in 1983. We had entered the scene as longhaired freaks in a redneck world, daring to play whatever music we liked—whether it was bluegrass, old time or honky-tonk. The lines between such things were sharply drawn back then. If you picked Scruggs-style banjo, you didn’t play clawhammer. 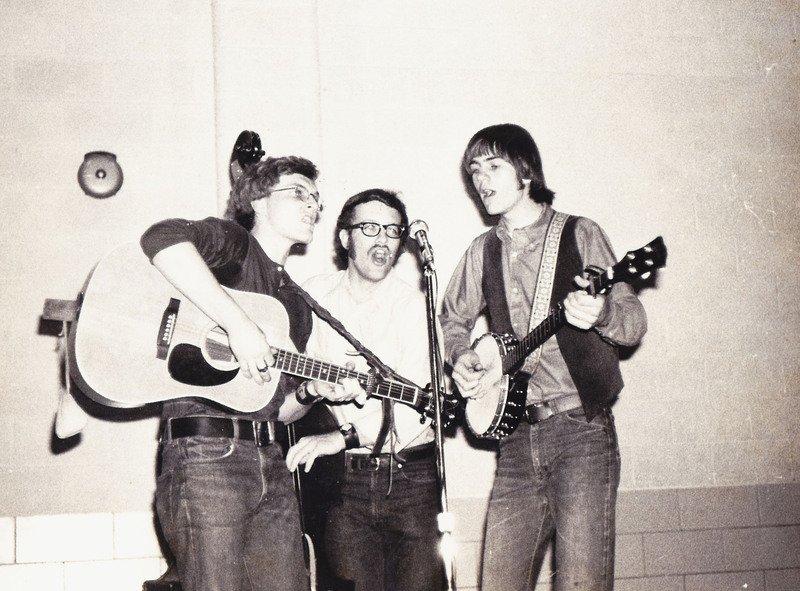 If you sang Uncle Dave Macon songs, you didn’t harmonize like the Osborne Brothers. What did we know, we were from Ohio. In 1983, at the end of our run. we were again a five-piece band. Allow me to digress. It had been Dave, Suzanne and I from the very beginning but we soon became four with Tom Harley Campbell playing bass. Harley was a high school pal of mine. 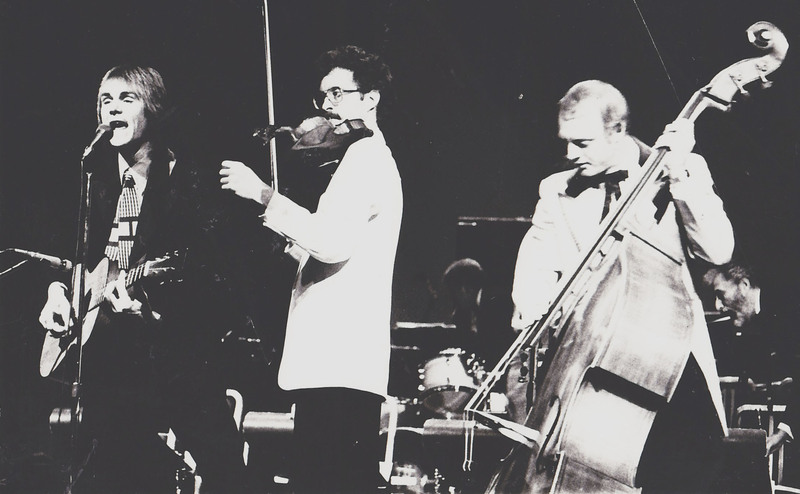 Then we met fiddler, Tom McCreesh at the Mariposa Folk festival in 1974, and he came to Ohio to round out our first five-piece ensemble. 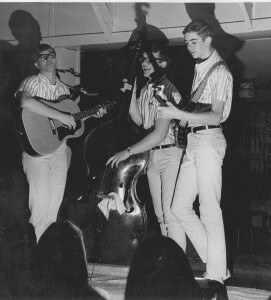 When Harley and Tommy left Ohio for New York a couple years later, another old buddy, Jerry Ray Weinert, took over on the bass. Jerry Ray and I went all the way back to grade school and, believe it or not, we had both been Freewheelers. After a few really good years of touring, Jerry Ray left for greener pastures and Gary “Hoppy” Hopkins took over on the bass. For a short while after that, we were became five again with the addition of fiddler, T.J. Lundy. When T.J. left to go back home, we were four again until our old friend Greg Dearth, who had pretty much been around the whole time, officially joined the band and that was the final configuration. As we were winding down, Greg and Hoppy and I started gigging in local bars as the fabulous Rugcutters. For a about three years we were a live cartoon band with strings and horns playing some pretty crazy and very swinging goodtime music. Then began my relationship, both private and professional, with Sharon Leahy. We blended our voices, our common experiences of music, dance and theater; and our families—her two boys, Ben and Nate, and my two girls, Cassie and Canaan. 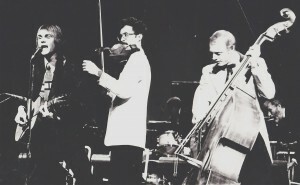 Our first ensemble paired Footnotes: Sharon, Deb Tankard, Larry Micol and Matt Gordon, with a trio of oldtime musicians that included myself, Mac Banford and Woody Woodring. We specialized in the music of Uncle Dave Macon and called ourselves, The Uncles. Uncles & Notes set the stage for what was to follow. 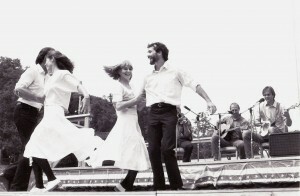 In 1987, Sharon and I began what was to be a twenty-three year journey of directing Rhythm in Shoes. That story is told on its own page, but suffice it say, we had a daughter of our own and it wasn’t long before Emma was our finest dancer. Everything that had come before informed Rhythm in Shoes—the music, the dance, the theater, the traditions. What came out of it was a body of work, richly rooted in the past but consistently creative. Most importantly, I experienced the value of collaboration—first and foremost with my wife and partner—but also with the many artists and organizations with whom we’ve made shows. Ultimately it’s the great collaboration between artist and community that gives what it takes to make a living as a musician. Although they were too numerous to mention them all, one of Rhythm in Shoes‘ many memorable collaborations was an original piece of dance/music/theater that we created with our long-time friends, the Red Clay Ramblers of North Carolina. 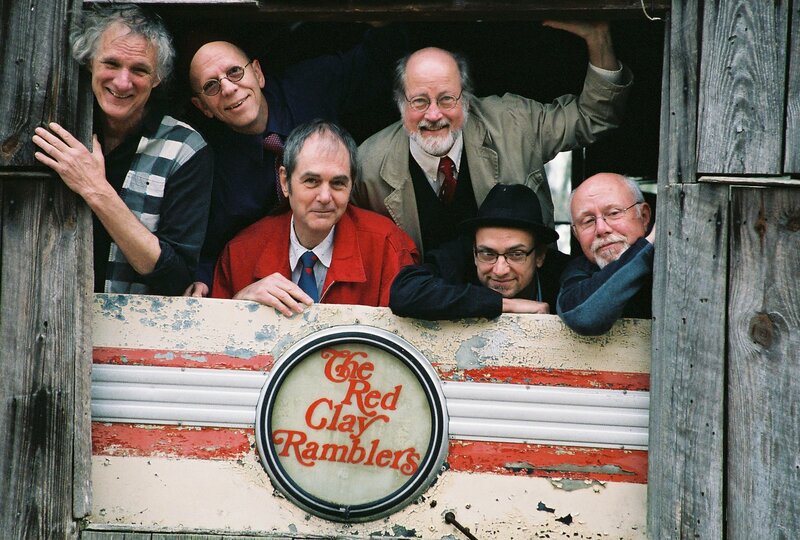 In addition to a very entertaining show with some really good music, it was the beginning of a rewarding relationship I still enjoy today when I hit the road and head south to play banjo for the Red Clay Ramblers. I can’t imagine my life without music and dance. 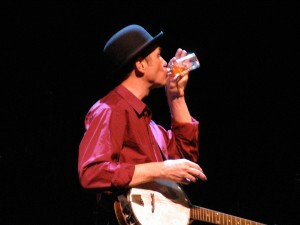 After forty-seven years of gigging with a banjo I’m still at it and that is a beautiful thing. Sharon’s son, Ben Cooper is as good a bass player as I’ve ever worked with and has become one of my favorite oldtime fiddlers. Along with Sharon and our daughter, Emma (now Emma Young), the four of us have found the perfect bandmate in Paul Kovac, and we are currently still at it in the form of ShoeFly. So, that about does it. Ben and I, by the way, have been hosting a Wednesday night jam session at the Trolley Stop in Dayton for five years now. We play fiddle tunes from nine to midnight and if that kind of thing appeals to you, come and join us. Here’s a link to a short video about the banjo. It features myself and two other players from the Dayton area: Greg Allen and Joe Mullins. I am honored to be in their company. Regardless of your political leanings, the amount of money spent by various campaigns this past election year probably made you at least a little disgusted, if not downright nauseous. This song is my contribution to all the noise. Written with Uncle Dave Macon and Woody Guthrie in mind and reminiscent of the Almanac Singers, a studio recorded, full-band, audio version is currently available for FREE digital download from CD Baby. Read about This House is Not for Sale in a New York Times editorial. A live, solo, video version is also up for your viewing pleasure on YouTube, as is another Uncle Dave inspired parody lampooning cable news called, The TV’s True. Below are the lyrics to “This House” in case you want to sing it. Although, as it turns out, the biggest money was wasted this election year on losers, it’s seems clear to almost everyone that Citizens United needs to be overturned. There is a house, a monument, as fine as it can be. If you are the President it’s where you do reside. If you are a billionaire it’s one thing you can’t buy. Though you are spending millions just to make this Union fail. If you weren’t filthy rich you’d be in jail. You can buy a congressman. You can buy a judge. You can back a super-pac and give your lies a nudge. To take a stand and build a land where money is not might. You live for gold, you sold your soul, you take more than you need. You push and pull till you’re so full someday you’ll die of greed. And the Devil’s waiting for you underneath your bottom line. Just a dozen years ago democracy went down. The highest court threw out your vote & gave King George his crown. While plutocrats and old fat cats are out to buy our nation. But even then they did amend to clarify the law. How does a corporation have the legal rights of man? I’ve been writing songs and composing music since my early teens. The first recorded works were Stuff Like That and When I Get Home, which appeared on the Hotmud Family’s last LP on the Flying Fish label, in 1981. Nova Town, released in 1997, was my first CD of all original songs. 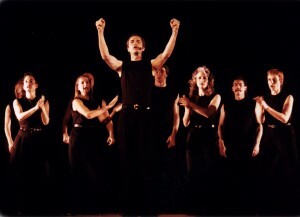 It was followed a few years later by a full-length theatrical production of the same name with more songs and a full script. 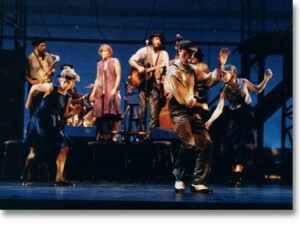 In addition to Nova Town, original music written for theater includes Rambleshoe (with Jack Herrick of the Red Clay Ramblers) and Banjo Dance, for Rhythm in Shoes, The Dayton Stories Project: And That’s My Story for the Human Race Theater Company, and several productions for Mad River Theater Works and the Zoot Theater Company. Listen below to a sample of some of my songs. Those that can be found on commercial recordings are available on the MERCHANDISE page. Others will be available on future recordings. demo of song from Dayton Stories Project. The first part is about a man who is homeless, the second part is about a man who is gay. 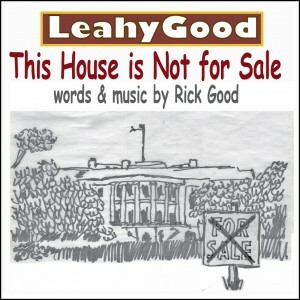 a protest song in the tradition of Woody Guthrie and Uncle Dave Macon, available for FREE digital download at CD Baby. 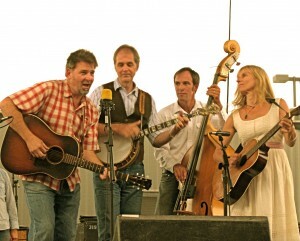 with Rick Good – lead vocal, banjo, guitar; Sharon Leahy – vocal; Sam Barlett – mandolin; Cleek Schrey – fiddles. 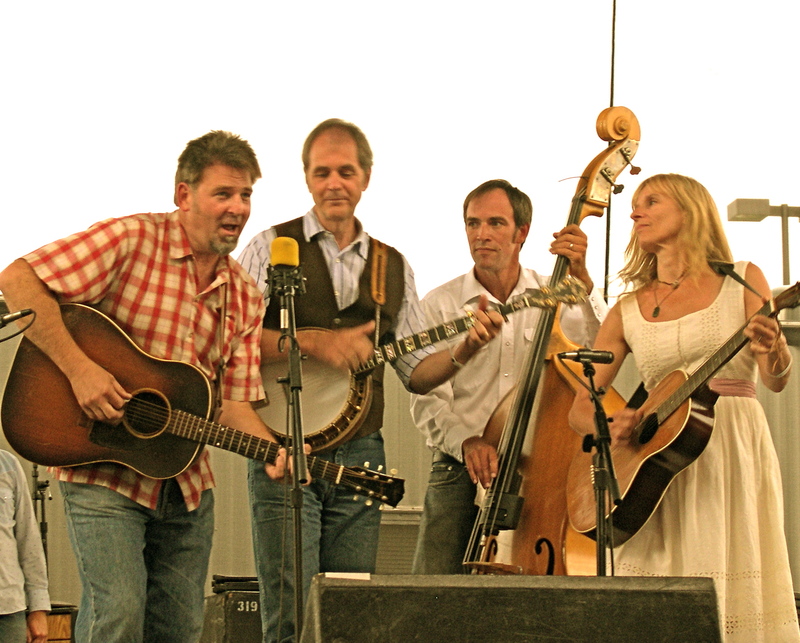 Right about the time the Hotmud Family called it quits, after thirteen years of touring and recording, I got a call from Jeff Hooper of Little Miami Theater Works (since changed to Mad River Theater Works). 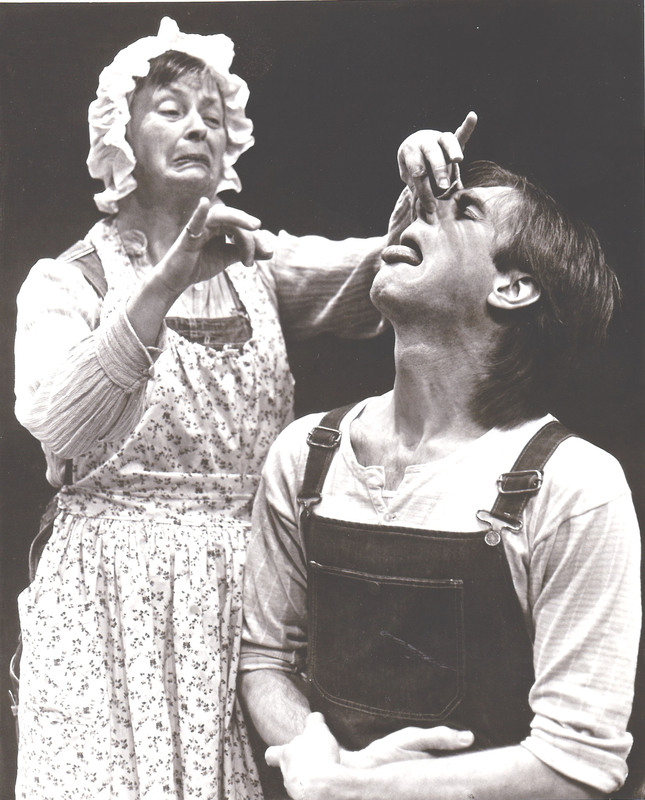 Jeff was collecting stories from communities in rural Ohio and turning them into one act plays to be performed throughout the state in schools, libraries and theaters. Somewhere he heard I could play music and write songs and somehow he thought my band experience on stage could translate to a more theatrical presentation. It was 1984, in Yellow Springs when I became one of three players in a touring company that traveled around Ohio in a Chevette with our set tied to the roof and our props, our costumes, our instruments and ourselves crammed inside. This I did for nearly four years, along with my fellow thespians, Jean Hooper and Chuck Ganzert. We worked hard and by the time I left the Company and joined Rhythm in Shoes in 1987, I felt like I had earned my Bachelor’s Degree. In addition to the many fine plays written and directed by Jeff Hooper, I also had the privilege of performing in Tommy Thompson’s fine play, The Last Song of John Proffit. 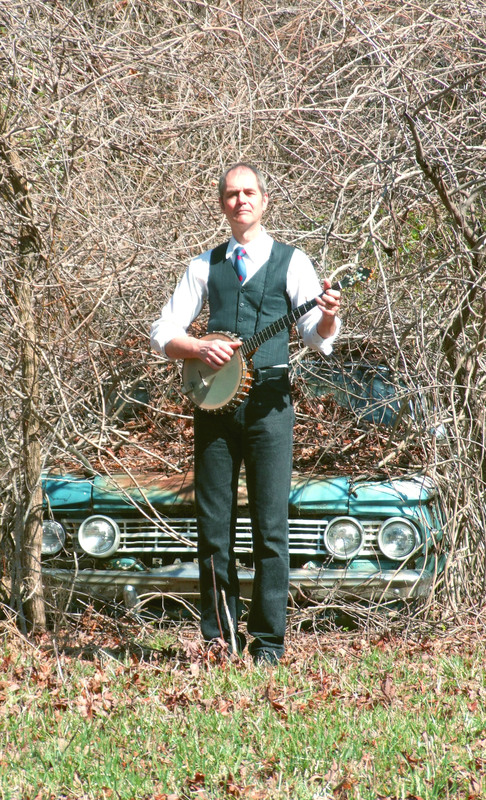 Like Tommy and the fictional John Proffit, I had spent much of my adult life on the road, making a living as a banjo player. I first performed The Last Song of John Proffit for Little Miami Theater Works in a 1986 production, directed by Jeff Hooper. 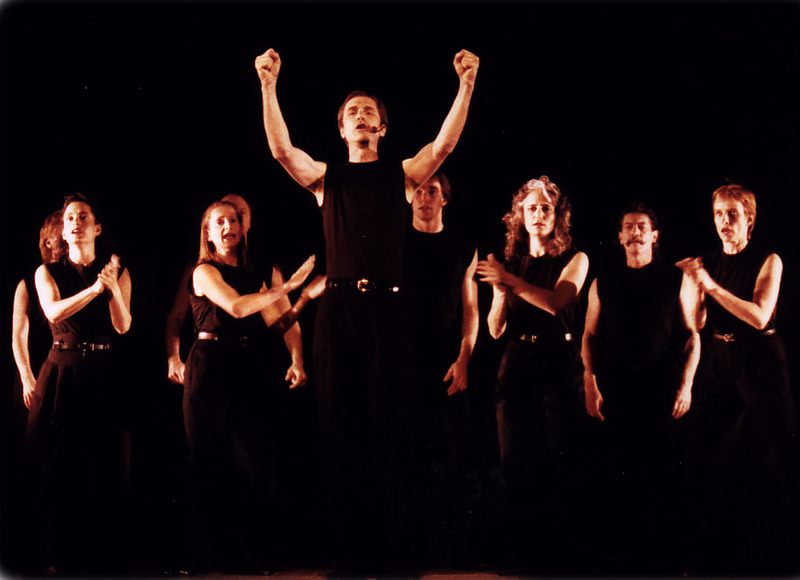 In 1994, Rhythm in Shoes remounted the play in collaboration with Human Race Theater Company, with direction by Bruce Cromer. More about the latter production can be found on the PRODUCTIONS page.